If you are a travel enthusiast, you are probably familiar with the never-ending list of places to see and things to do. Each time you take a trip, your life is enriched, you have an adventure and come home with a list of 5 new places you want to visit next. Most of us have some kind of list for traveling and seeing the world. Whether we call it a ‘bucket list,’ a ‘travel list,’ a ‘places to see list,’ or just a ‘to do list,’ we enjoy keeping ourselves motivated to keep experiencing life outside of our homes. Over time, you realize that the places and things that you have done and visited that have stood out the most to you are the ones that make you feel the most alive. Here are 5 things to do in beautiful places that will bring you to life and make your soul smile. School in the floating fishing village at Halong Bay. While renting a junk or joining a group can be really fun and might save you some money, renting your own private tour boat also has many benefits and isn’t as expensive as you might think. Companies like Life Resorts will work with you to provide you with a customized tour through the local parts of Ha Long Bay. For about the same cost as a one night stay at a 3 star hotel, you can rent a boat for a six hour ride through the bay. There are full accommodations on the boat including a bed, full bathroom with shower, living room, small kitchen, dining table with bench, sun deck and deck hands who also cook and explain the sites you are seeing. You also have the option to stay overnight at an additional cost if you want to truly experience all the bay has to offer. On the tour, visit a fisherman’s house in the middle of the water and have your pick of the fresh catch of the day to enjoy for lunch. 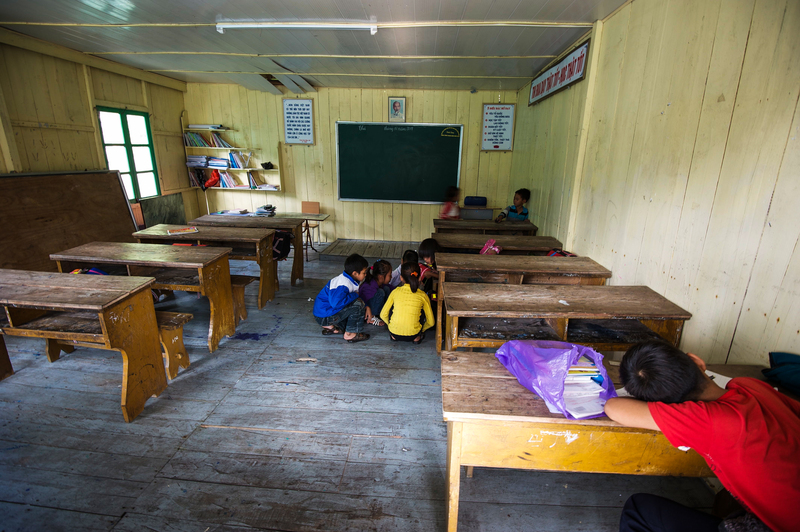 Visit a floating school, play hide and seek with the children and sit in on a class. Watch the local teenage boys boat by, paddling the boat with their feet. Enjoy homemade authentic Vietnamese meals cooked by your local guides on your boat and relax on the deck with the sun in your face and the wind in your hair. Ask the guides about the people who live in the bay, how they spend their days and what they do to earn their living. You will learn that happiness doesn’t come from material things and you will find an appreciation for the beauty of a simple life. Leave feeling enlightened, humbled and questioning the difference between want and need. Going for a swim can always work wonders on your soul, but swimming in a cenote in Mexico, takes it to a whole other level. You can join an organized tour to visit the more well-known cenotes which can be crowded and hectic at times or for a few dollars you can hire a local, private guide, who will take you to the hidden cenotes. There you are more likely to get a private swim in the fascinating, dark underground systems. Bring a bathing suit, sunscreen, water shoes if you prefer, a towel and a change of clothes. 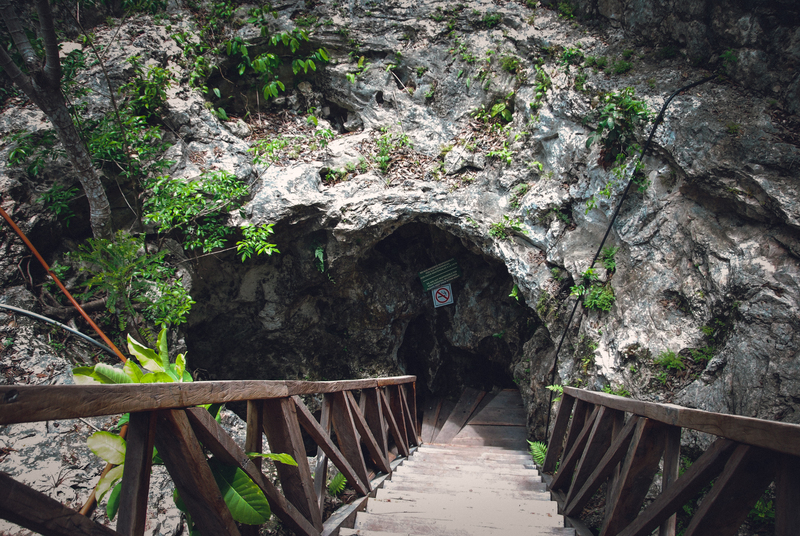 Be careful on the wet wooden stairs and on the slippery rocks as many of the cenotes that are off the beaten path are swim at your own risk, lit up only by small flood lights. If you have a fear of flying rodents, this might not be the adventure for you. However, if you can tough it and spend some time engulfed by nature, the crystal clean waters of the caves will leave you feeling rejuvenated and refreshed, from the inside out. We all know there is nothing like a home-cooked meal to soothe the soul and what better way to do it than to start from scratch. Walk the rice fields, check out the local markets, hand pick your fresh local ingredients, bring them to the kitchen to cook and serve up at the table to eat. Whether you set this up through your hotel or find a local guide or chef on your own, Indonesia is wonderful and exotic and is the perfect place to try something new and learn about a culture through cooking its food. 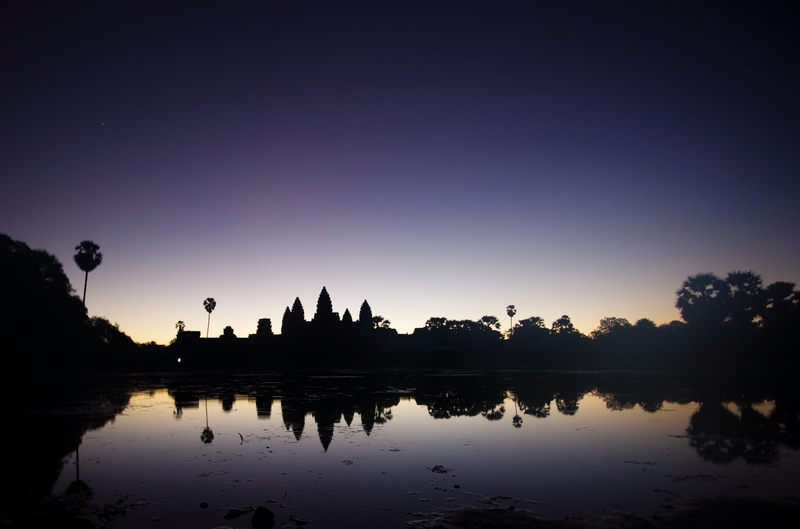 Whether you are with a guide or on your own, seeing the sunrise at Angkor Wat is a must. Get there early and find a good spot on the edge of the water with no one blocking your view. Bring a chair or blanket to avoid getting muddy and don’t forget the bug spray. Bring a tripod and camera, but try not to be behind the camera the entire time because when you are sitting there waiting for the sun to rise, surrounded by thousands of people from all different parts of the world who have traveled there for the same reason as you, there will be a still in the air and a calm in your mind. You will feel the change in the sky. Then when the sun rises behind the temple and the water lilies start to open at the sun’s first light, you will feel as closely connected to the universe as you have ever felt before. Machu Picchu is arguably one of the most fascinating places in the world. Walk in the footsteps of the Incan Empire and experience a world of wonder and mystery. If you are one of the lucky ones that can get in to see the sunrise, you will understand why so many people travel to this majestic place every day. Skip the hotels and opt for the Trail. Incatrekkers is a privately run trek company that offers a personal and informative tour, offering porters that assist with bags and camping equipment, provide nicely cooked, authentic Peruvian meals, and a comfortable and secure trekking experience for people of all ages. For an alternative adventure, try a different trek to avoid the herds of people. While the Inca Trail is the most appealing, you might find yourself sandwiched in a crowded line for most of the stair-heavy trail. If you can manage a small group on one of the roads less travelled, you will find yourself in the open air, between mountains of ice and green pastures of wildlife with hardly a person in sight. 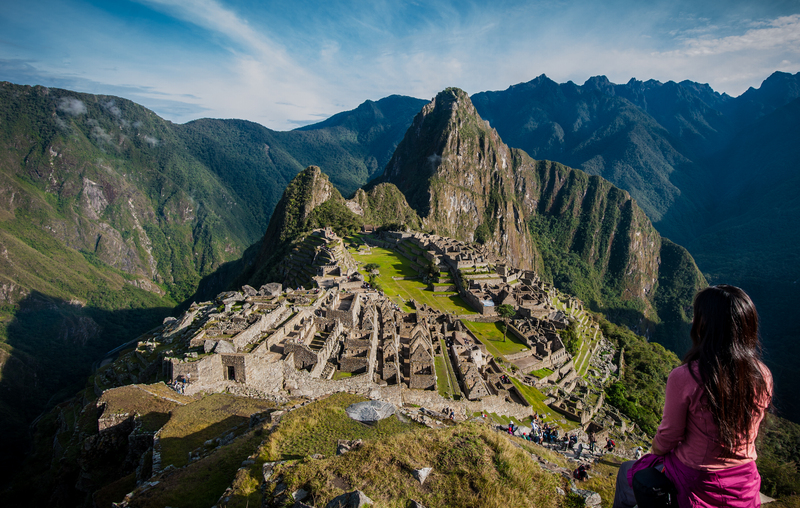 Plan ahead to visit Machu Picchu and the Inca Trail as tickets can sell out months in advance. When you get to the end of your journey and you are overlooking the stone walls to the peaks of the mountains, take a minute to soak up its unknown history. Find a curiosity for what might still be out there, undiscovered. Leave there with a sense of accomplishment, connection and renewal. Your soul will thank you for it later. Great list! I definitely agree with the one of Macchu Picchu, it is also wise to plan ahead and avoid the rainy season (February) since the Inca Trail closes down for a few weeks before re-starting again. Great point! I remember having to plan around that. One of my favorite places! i love cambodia! one of my top 3 vacations ever! Christine, same here! I found it to be such a beautiful country. I would love to see more of it! I only saw Siem Reap, really. Did you do more exploring? Great list. 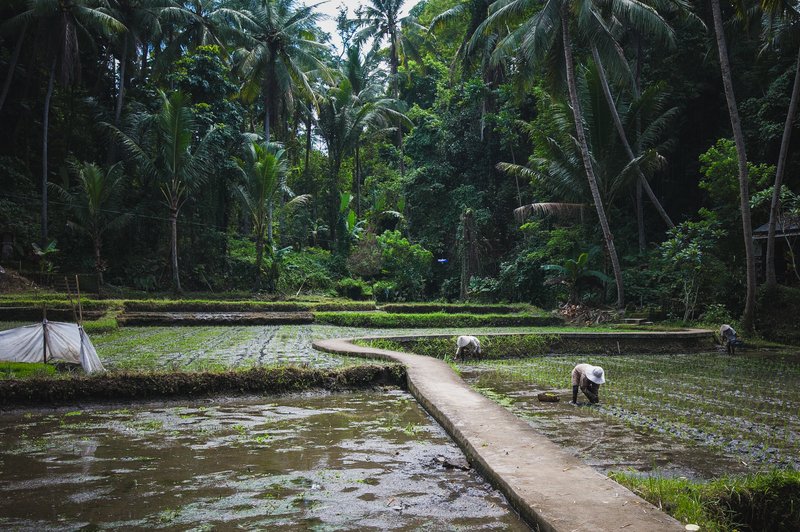 I love the photo of the rice paddies in Bali, very serene. PS. My kids love Swedish meatballs! Swedish meatballs are the best! haha. Thanks for your comments. I would love to hear about your adventures in Hong Kong! Great list! I’m planning on heading to Bali soon and a cooking class is definitely on the list! Oh, man. Those cenotes in Mexico sound like a really awesome thing to try. Flying rodents sound a bit scary, but I would brave them for that experience!